To encourage volunteerism with inspiring experiences. 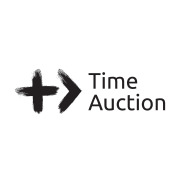 Time Auction is a charity that connects anyone with inspiring leaders while encouraging volunteerism. By volunteering to any charity, one can join inspiring experiences - from dining with inspiring entrepreneurs to cooking with Michelin-starred chefs. Over 30,000 volunteer hours have been raised in Hong Kong, San Francisco and Vancouver since inception in 2014, featuring the Co-founder of Reddit, Astronauts, Managing Directors at Google, Chief Secretaries of Governments and more inspiring visionaries from all walks of life. Would you recommend Time Auction?